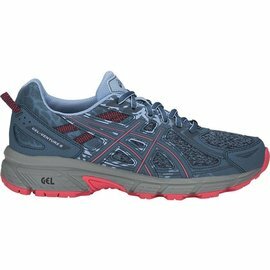 The ASICS Gel-Contend 5 PS Junior Running Shoes are comfortable and cushioned, keeping kids' feet stable to help them run further. 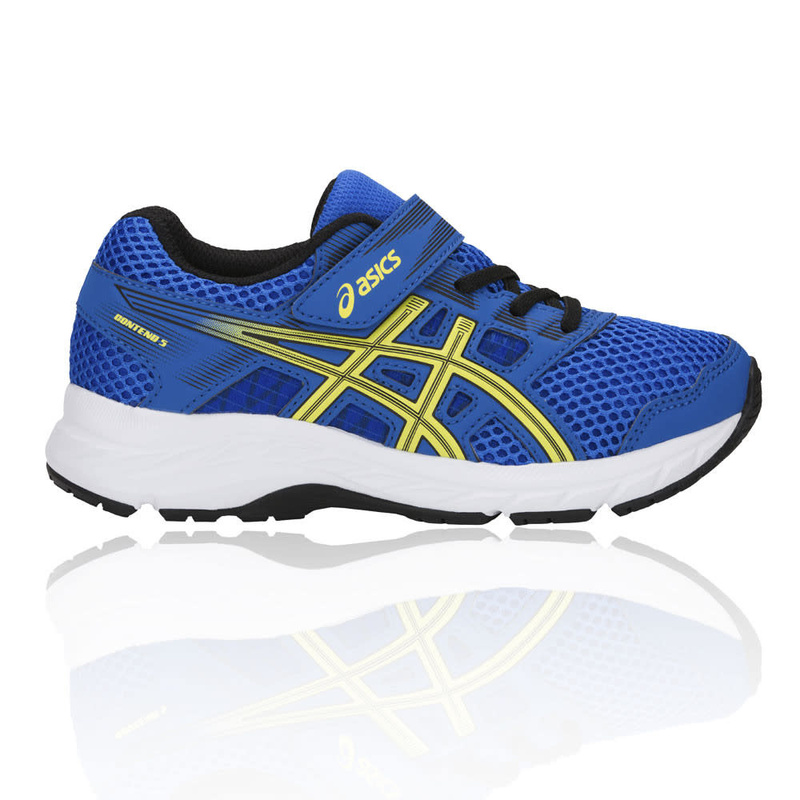 The Gel-Contend 5 Junior Running Shoes are constructed with an athletic mesh upper that encases each foot in breathable comfort. The mesh allows air to fully permeate the entire upper, providing a constant supply of fresh, cool air while simultaneously forcing out hot, muggy air. The additionally aids moisture management, wicking sweat and excess moisture as it's produced then transfers it to the outer layers where it can be easily evaporated, keeping your juniors feet cool, dry and comfortable. Furthermore, the upper features a durable layered construction that not only provides excellent durability but also reduces the chances of chafing and skin irritation. The layers work to rub against each other instead of against the skin, therefore, reducing distractions. 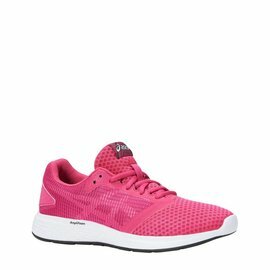 The upper offers a supportive fit that ties in with the internal heel counter that works hard to prevent in shoe slipping from occurring. 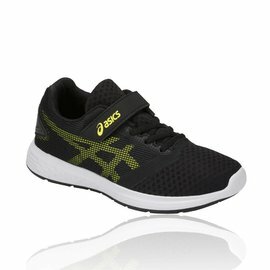 The heel counter locks the heel in place to ensure a night tight foothold to give your child the confidence to run fast and hard. Lastly, the upper offers an EVA sockliner that provides plush step-in comfort as well as aids moisture management further, creating the best environment for the feet to thrive in. 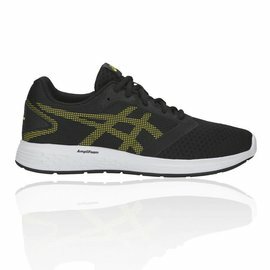 The midsole offers ASICS' unique GEL Cushioning System which is placed in the forefoot to supply bounce back and shock absorption; sparing your juniors joints as you volley and lob, and leap and land on unforgiving surfaces, allowing for smooth transitions and movement in multiple planes. Furthermore, an EVA midsole compound is not only super cushioned and responsive but it keeps its shape over time and usage, allowing the compound to be just as effective in the last few miles as it is in the first few. 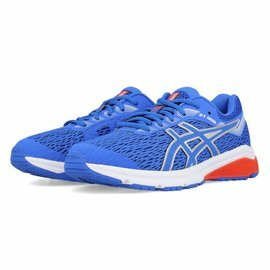 The Gel-Content 5 Junior Running Shoes offer a Durable rubber outsole that supplies improved grip on a variety of court surfaces. Having the durability and traction enables your child to make short, sharp movements without placing strain on their bodies. 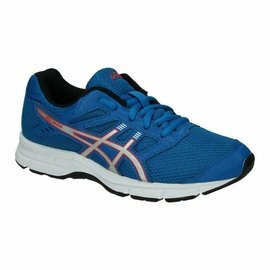 The durable rubber is placed in high wear areas of the outsole to allow the shoes to last longer on unforgiving surfaces.